International production located in High Value Natural Environments. 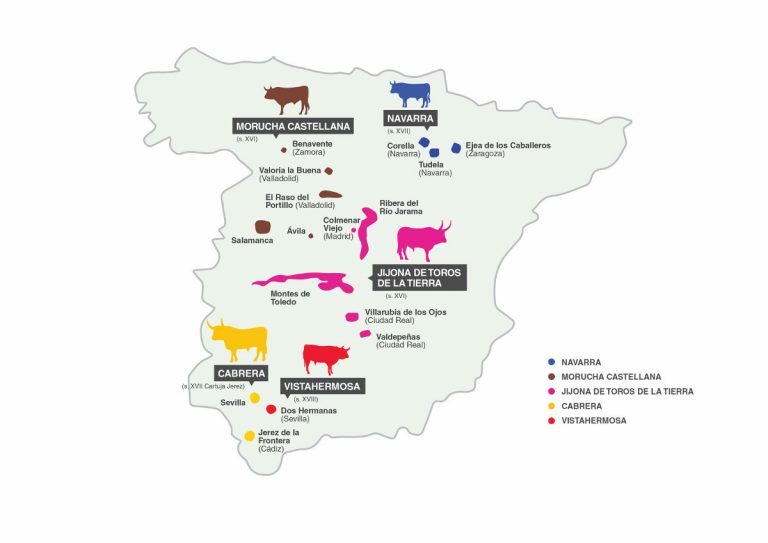 Fighting bull breeding production spreads all over Spain, South of France, Mexico, Colombia, Peur, Ecuador and Venezuela. 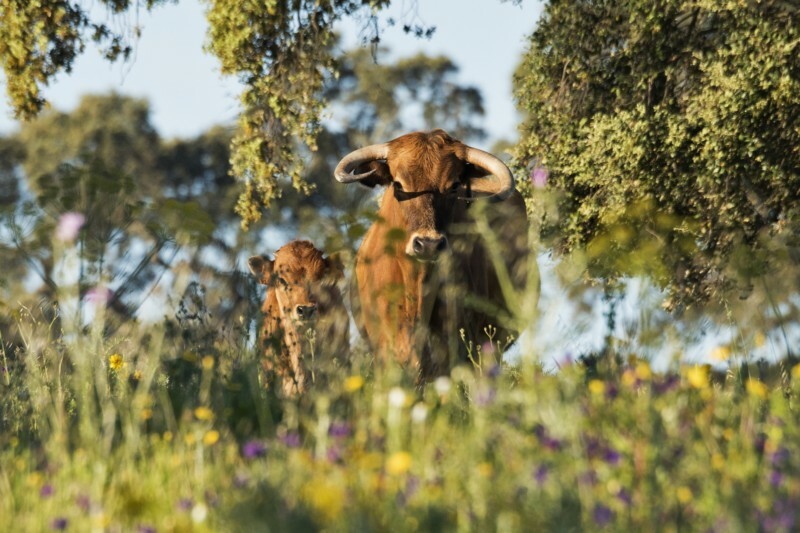 There are more than 976 Fighting bull breeding farms in Spain, which account for 213,457 heads of livestock as listed in the Fighting Bovine breed family tree. 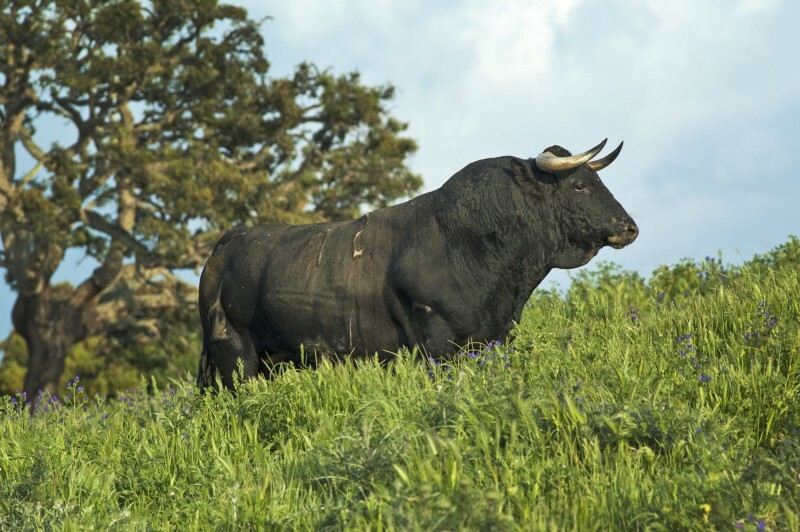 Fighting bull breeding spreads across 617,763.454 acres of plains defined by the EU as High Value Environments(HVE)*. *Theses systems are defined by the low employment of supplies, the presence of semi-natural vegetation and the variety of uses of the soil. They are comprised of a huge typology of real estate. From extensive livestock pastures to dry land weed with some spots of vegetation. Unique and archetypal species like the scarce Iberian lynx, the imperial Eagle, indigenous livestock breed of indigenous types of harvest. Spanish Breeders started selection of the fighting bull for bullfighting venues before Robert Bakewell (Dishley, England 1725-1795) started specialization of the bovine breed for meat production followed by milk. 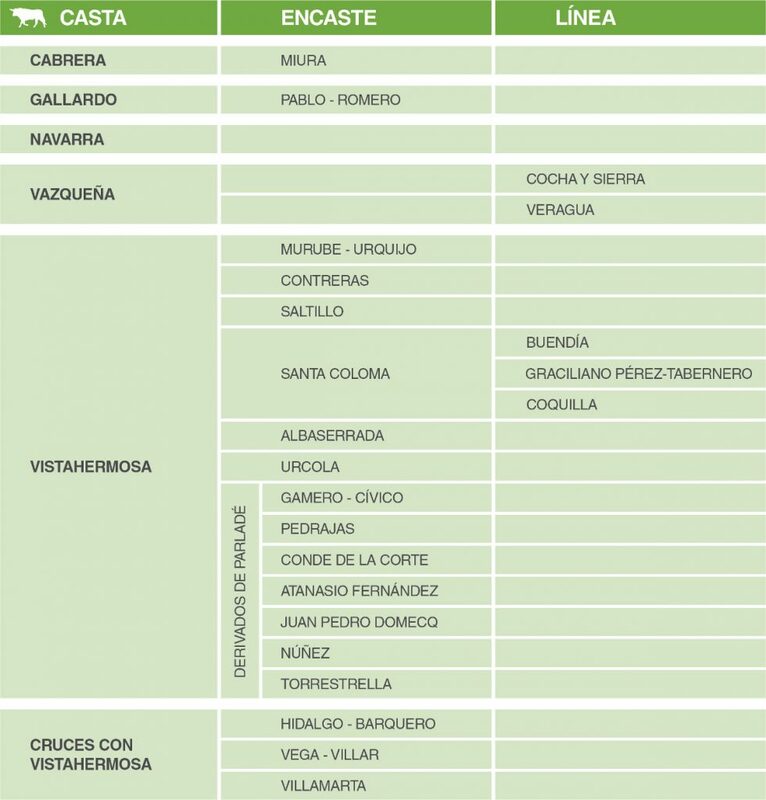 There´s plenty of historical documentation over the origin of the different breed allows for tracking of the beginning of the fighting bull livestock from the 16tth to the 19th to present day. The animals of this breed live in a state of half-wilderness and they gather themselves in herds with heavy hierarchied structure. From the moment of birth, they watch their surroundings in a permanent state of alert and they ram if they feel threatened. They keep wildlife instinct lost in the mahjority of bovine breed due to domestication. The fighting bull It´s the jewel of the Spanish genetic heritage. 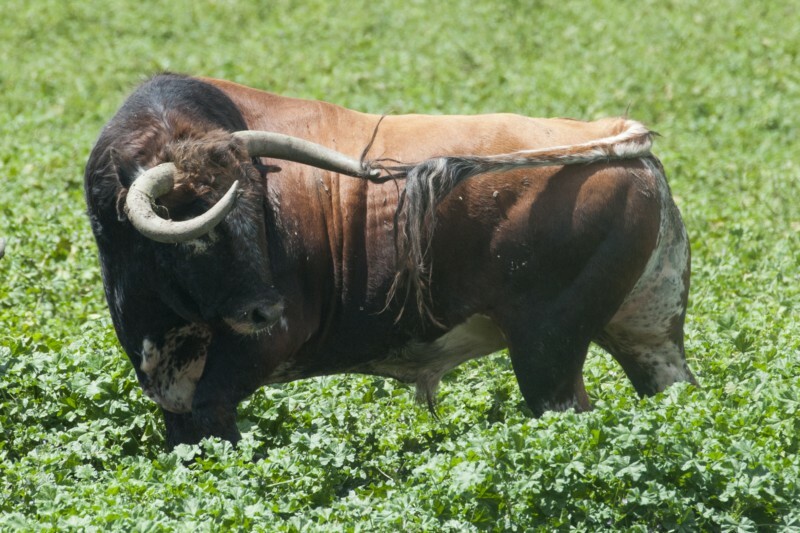 It features a particular genetic structure which cannot be replicated from other bovine breed s as it´s the results of a task carreid out by breeders that span across three centuries. 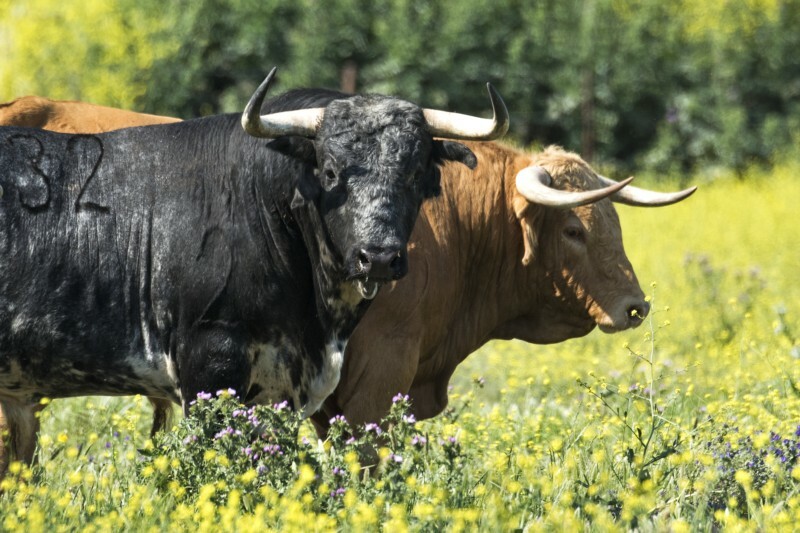 The degree of differentiation observed in the fighting bull breed is far superior to those of the European bovine breeds, so it should be considedered a meta-breed or breed of breeds. 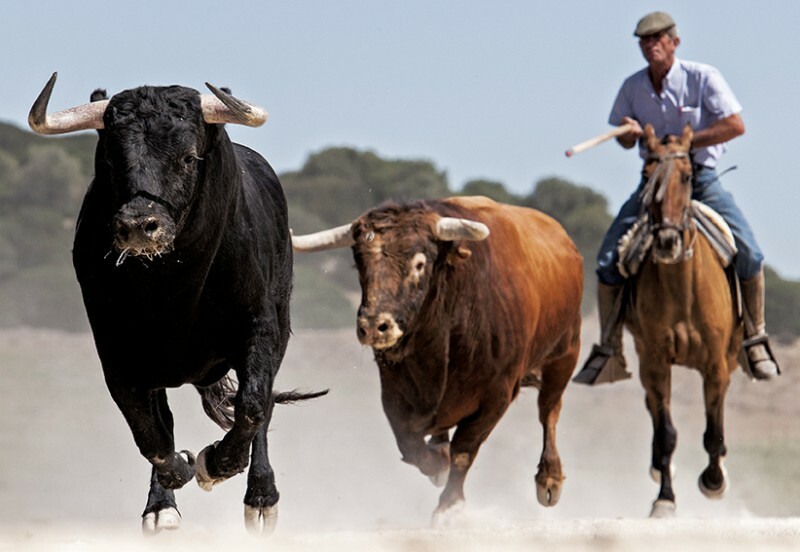 The brands of this breed have been adapting them all across three centuries following the evolution of bullfighting venues, as it´s subject to the attending crowd´s tastes and major bullfighters´ preferences. There are populations of this breed that meed FAO requirements to be considered in danger of extinction. One of the most unique features of this breed is its reduced exchangeability’ In general terms, everything indicates it´s an evolutive species with serious difficulty to be replaced by another and as such is a big priority in conservation programs. 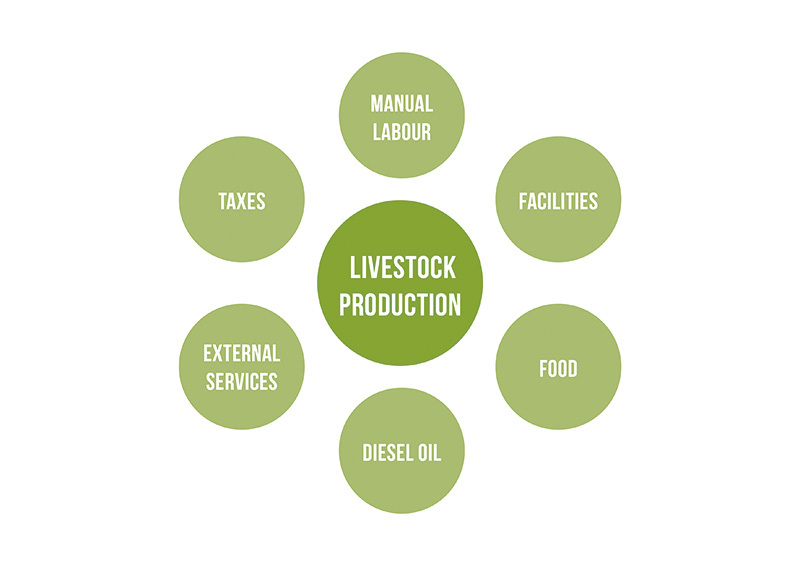 It features more intensification than other bovine breeds(5 acres per bovine head in the case of UCTL livestock and it has a smaller footprint over its environment than other species such as pigs or sheep. 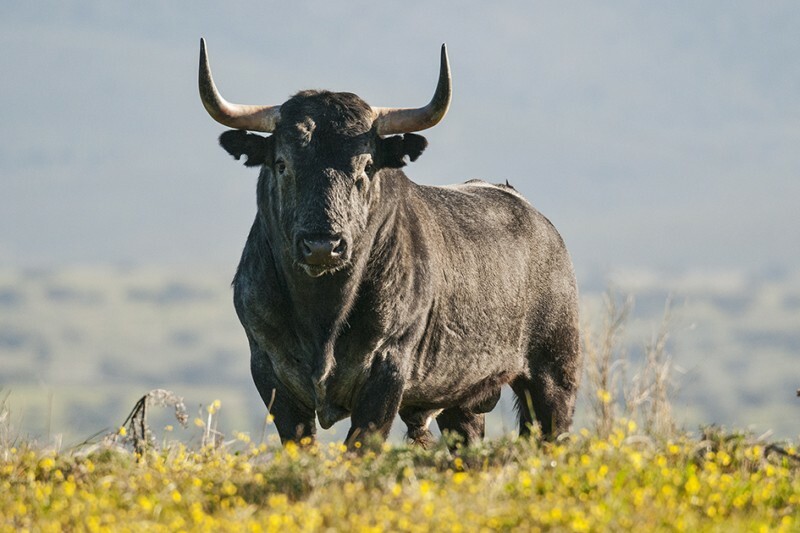 The fighting bull cohabitates and protects endangered species like the Iberian linx, imperial eagle, black stork…In fact, endangered species´conservation programs are carried out in the fighting bull breeding plains. They are also stops in the way of migratory birds when water reservoirs are in the vicinity. They contribute to the struggle against climate change because the plains act as CO2 drains and sources of oxygen. They act as firewalls against wildfire because of weed clearing, because of constant vigilance held by the herd itself and by the features of their boundaries, which hinder the appearance or spread of fires.. They keep away furtivism and limit access to the greatest predator: Man. 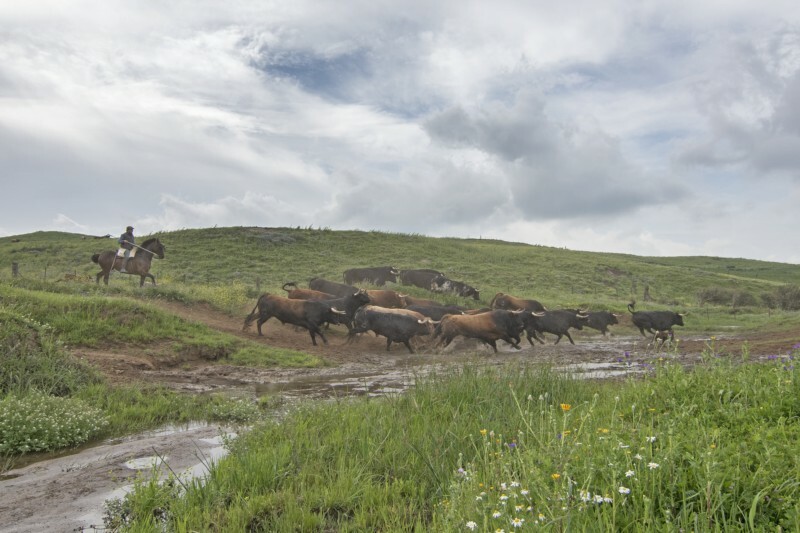 They are heirs of a management method based on tradition, in a modern knowledge of agriculture management and a deep respect for their environment. Furthermore they take care of rural environment keeping themselves away from indiscriminate wood cutting for soil ploughing to plant cereal, favouring biodiversity of indigenous flora and fauna. UCTL breeding brands are located in the least populated areas of the European Union with a population density of less than 50 inhabitants per square kilometer, backward areas featured by the lack of industrial fabric. 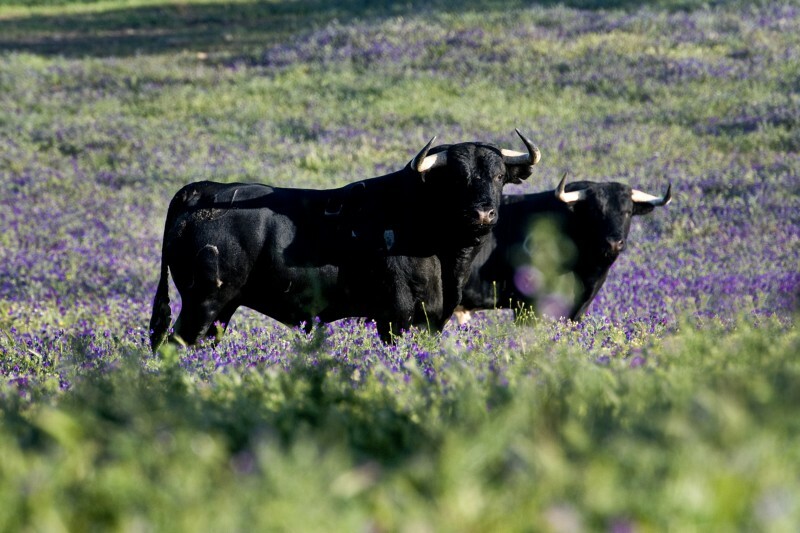 The fighting bull´s breeding plains are located mostly on ridges or mountains; Poor areas of the Iberian peninsula, wild and poor unsuitable for harvesting and threatened by depopulation. Animal production of the fighting bull is the costliest there is because of the duration of their production cycles.